Inspired by vintage carnival signage mixed together a modern edge. 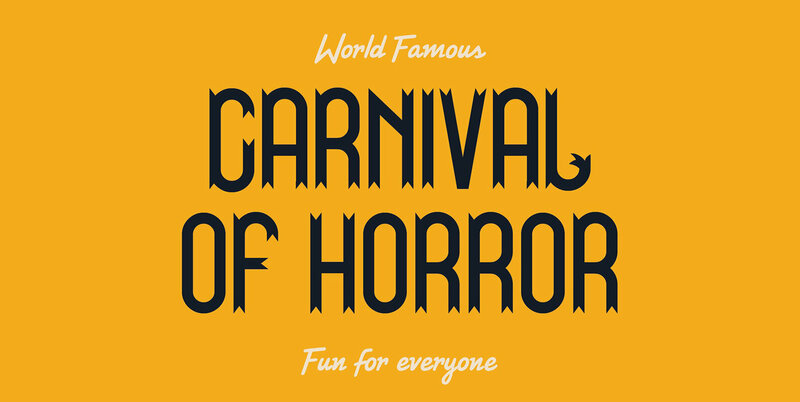 Carnival is a great font with a fun and playful nature. Crafted Bold and Built Strong! Carnival is perfect for any new branding project. It's also great for bold signage, guaranteed to grab attention!